DTJ creates films with communities in conflict for communities in conflict to overcome divisions and find solutions to war. 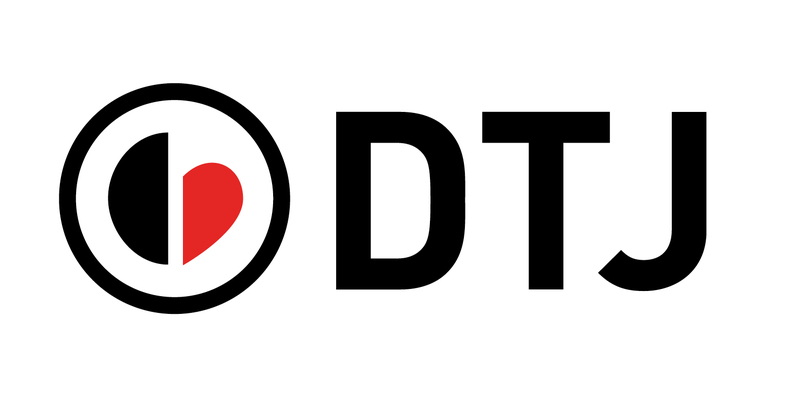 DTJ is pioneering a new form of media, Mobile Cinema, created to drive social change in communities affected by war. DTJ’s localized films and facilitated workshops create a space that encourages encounters between people with opposing views, and generates the possibility for new connections, perspectives and discoveries. DTJ Mobile Cinema programs have tackled issues like reintegrating formerly abducted children into their communities, relieving psychological distress, and reconciling victims and perpetrators. Film builds on the strong narrative storytelling culture in the places we work where people learn from each other through shared lessons that are passed down. Since stories are a universal language, they transcend other teaching tools and are exceptionally powerful instruments for reversing harmful ideologies and engendering cohesion, solidarity and hope. Help DTJ protect children from war. There are LRA combatants who want to surrender. We made a film to help communities peacefully receive them when they do. Introducing “They Came at Night”: Encouraging LRA combatants to surrender. "If the LRA defects and we are aggressive towards them, this could get back to the LRA in the bush. It’s better to encourage the LRA to surrender, which could, in turn, encourage others in the bush to surrender too." "This workshop helped us to be willing to accept the LRA who surrender from the bush. I see our community has already changed their ideas - the violent ideas towards the LRA have changed -- we are now ready to welcome the LRA." "Before seeing the film, I didn't know there were LRA who wanted to escape and return back to Uganda. " "Before the workshop I would have never accepted the LRA if they came out, because I only thought about what the LRA did. But now, after the training I have changed my mind - and now I understand that accepting the LRA will bring peace." “They Came at Night” is a drama set deep in the bush of Northeastern DR Congo, where an abducted child soldier, fleeing for his life from the Lord’s Resistance Army, encounters a local hunter who must decide whether or not to risk his own life to help him escape. Joseph Kony’s Lord’s Resistance Army continues to harm communities in Central Africa. Children are still being abducted, civilians are still being killed and communities continue to live in fear. International organizations are asking the LRA to peacefully surrender as a key strategy to ending the war. DTJ research revealed that encouraging community-based approaches to facilitating the peaceful surrender of LRA combatants is one of the most effective ways to reduce threats to communities in central Africa and weaken the LRA’s ability to effectively operate. Encouraging defection, or surrender, is a non-violent strategy to remove the LRA from the battlefield. Communities can play a vital role in facilitating peaceful surrender of LRA combatants and need to be both prepared and protected if LRA combatants do decide to surrender. A community-based workshop facilitated by our regional partners accompanies the Mobile Cinema screenings. Through the workshop, the film screening, in-depth discussions and education, communities learn what to do if someone surrenders from the LRA, and how to forgive those that are responsible for violent attacks in their communities as a proactive and necessary step towards peace. 79% of documented LRA escapees said current defection efforts were influential in their decision to leave the LRA. This program builds off the momentum of this success by preparing communities to peacefully receive those who surrender. Over 2,800 people will participate in the program by the end of 2013 and the program is being implemented in Central African Republic, South Sudan and DR Congo over the next year by local partners. There are hundreds of children who escape the LRA and come home. We made a film to help communities accept them and become family again. Introducing Mobile Cinema “Reintegration”: Welcoming children abducted by the LRA back home. "Now being in the program my bad thoughts have disappeared." "Now our chief has started to fight for the benefit of children who have returned from the LRA. " "Personally, I was abducted. I used to be rejected by other people because of my story. Now, I am invited to places and have new friends." "Before, our community was not united. This program helped us to love one another. Now we are starting to be united." “Kadu” (Belonging) is a narrative film that tells the story of a brother and sister who were abducted by the LRA and return home to a family and community who no longer understand them. They want to be accepted as children again and the village chief has a choice to make – will he defend these children and encourage others to welcome the other abducted children home? Since 2008, the Lord’s Resistance Army has led a campaign of terror in northeastern Democratic Republic of Congo, South Sudan and Central African Republic. Thousands of children have been abducted or gone missing. Hundreds of children have escaped, but when they return home they often face stigma and even rejection and deal with on going trauma. DTJ research revealed that communities wanted to understand how to help these children themselves and asked for tools to ensure their own communities understood that welcoming these children home was a way to actively create peace. The workshop is an 8-session family-based, resilience-focused, psychosocial intervention designed to reduce symptoms of trauma, psychological distress and stigma. What does this all mean? Children say they feel sad less often, are no longer having suicidal thoughts, that other children are playing with them for the first time and that they finally feel accepted. Depression, anxiety and trauma symptoms reduced by an average of 50% according to evaluation data. Over 3,000 people have gone through the workshop in over 12 communities in LRA-affected northeastern Democratic Republic of Congo. We have seen amazing results.